Gary Frischling’s practice centers on complex, high-stakes intellectual property disputes, including patent, copyright, trademark, unfair competition and trade secret litigation. He also offers pre-litigation strategic counseling and advises clients on a variety of related transactions and matters. A registered patent attorney, Gary is a member of the firm’s Executive Committee and previously served as co-chair of its IP practice. 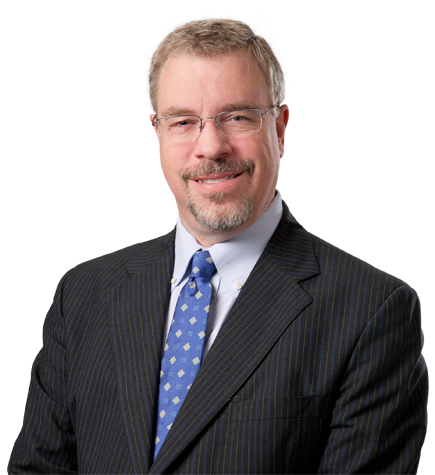 Recognized eight times by the Daily Journal as one of California’s “Top IP Lawyers,” Gary represents a wide range of clients, from small startups to Fortune 10 companies, with an emphasis in the technology and life sciences sectors. He has substantial experience resolving disputes involving technologies as diverse as microprocessor architecture, computers, telecommunications, software, new drugs and drug delivery systems, medical devices, data encryption, biologic therapies and biosimilars. Clients appreciate Gary’s creativity and the depth of experience he brings to each matter. He takes the time to understand their objectives and develop litigation strategies that meet their business goals. Moreover, Gary quickly grasps the sophisticated science involved in a dispute, and he is very adept at translating technical details into compelling narratives for judges and juries. Gary also has an active practice before the U.S. Patent and Trademark Office in connection with inter partes reviews (IPRs) and other proceedings before the Patent Trial and Appeal Board. On the transactional and counseling side, Gary’s practice includes intellectual property licensing, technology development and acquisition deals; intellectual property reviews in connection with mergers, acquisitions and asset purchases; trademark advice and prosecution; patent prosecution; and general intellectual property advice and counseling. AIDS Healthcare Foundation, Inc. v. Gilead Sciences Inc. et al. Secured a dismissal of a lawsuit challenging Gilead's new HIV and hepatitis B medication, tenofovir alafenamide (TAF). AIDS Healthcare Foundation brought the lawsuit alleging that five patents owned or licensed by Gilead are invalid and that Gilead violated antitrust and unfair competition laws by first releasing TAF as part of multidrug products. Judge William Alsup of the U.S. District Court for the Northern District of California granted Gilead’s motion to dismiss all claims after extensive briefing and a lengthy oral argument. The Federal Circuit affirmed the dismissal. Apple Inc. v. Wisconsin Alumni Research Foundation (IPR2014-01567). Served as lead counsel for WARF in connection with Apple’s request for an IPR of WARF’s ‘752 patent. Mylan Pharmaceuticals Inc. v. Gilead Sciences, Inc. (PTAB, IPR2014-00885; IPR2014-00886; IPR2014-00887; and IPR2014-00888). Irell & Manella LLP secured wins for biotechnology leader Gilead Sciences Inc., defeating challenges brought by Mylan Pharmaceuticals to four Gilead patents related to the HIV drug tenofovir disoproxil fumarate (TDF). The PTAB declined to institute IPR proceedings on all four petitions, ruling Mylan was unlikely to prevail on any of the claims challenged in the petitions. The PTAB also denied Mylan’s petitions for rehearing. Gary served as lead counsel before the PTAB for Gilead. MSD Consumer Products, Santarus, Inc. et al. v Zydus Pharmaceuticals, Dr. Reddy's, Perrigo. Represents plaintiffs in this series of Paragraph IV cases involving proposed generics for an over-the-counter proton pump inhibitor. He was able to secure favorable resolutions of these cases before trial. Santarus Inc. v. Par Pharmaceutical Inc. Represented appellant Santarus Inc., a small innovative pharmaceutical company based in San Diego, in this case involving Santarus' drug Zegerid, which is used to treat disorders related to excess stomach acid. The district court found all of the asserted claims in the patents covering Zegerid to be obvious over the prior art. On appeal, the Federal Circuit held that 11 asserted claims in two patents were not obvious and reversed the district court on those claims. Because Par's generic was found to infringe the claims that were held to be valid, this decision cleared the way for a trial on damages. As a result of the victory, two days following the decision Par announced that it had voluntarily ceased further distribution of the infringing product. News of the victory caused Santarus' stock price to soar over 14 percent in one day. Par ultimately agreed to pay $100 million in damages. Genentech, Inc. v. The Trustees of the University of Pennsylvania. Represented The Trustees of the University of Pennsylvania (Penn) in patent litigation involving Penn's U.S. Patent No. 6,733,752. Penn asserted that the primary use of Genentech's blockbuster anti-cancer drug Herceptin infringes Penn's patent. The court denied Genentech's motions for summary judgment of no direct infringement, no inducing infringement and invalidity. At the two-day pre-trial conference, the court denied Genentech's attempt to strike the University's damages experts, clearing the way for the University to ask the jury for approximately $500 million in damages. The court also granted the University's motion to strike Genentech's testimony of good faith belief in non-infringement. Within two days of the orders, and just days before trial, the case settled on confidential terms. Acacia Research/Microprocessor Enhancement Corp., et al v. Texas Instruments Incorporated. Served as lead counsel and obtained summary judgment for TI in this second patent infringement case, SACV 08-1123 SVW (C.D. Cal. ), brought against TI by Microprocessor Enhancement Corporation (MEC), a subsidiary of publicly traded patent holding company Acacia Research Corporation. MEC alleged that TI's OMAP 2 and OMAP 3 families of products, which incorporate ARM1136 and ARM Cortex-A8 processors, respectively, infringed one of MEC's patents. MEC sought unspecified damages and a permanent injunction against TI. TI's OMAP processors are designed for multimedia, gaming and wireless mobile use, including in smartphones, GPS units and mobile internet devices. FBR Capital Markets projected that annual sales of OMAP products would soon exceed $700 million. MEC's infringement claims went beyond just TI, as ARM-licensed processors are made by many companies and MEC asserted infringement based on key aspects of ARM architecture. By some estimates, over three billion ARM processors are sold every year. MEC also asserted claims against ARM, STMicroelectronics, Emulex Corporation and others in the same court. Irell took the lead on noninfringement, filing separate motions for summary judgment of noninfringement with respect to each of the two families of accused products. All of the other defendants joined TI's motions. Judge Stephen V. Wilson granted both of TI's motions, finding two independent bases for noninfringement with respect to each motion and awarding TI its costs of suit. Final judgment in favor of TI was entered and MEC appealed, but that appeal was later dismissed. The Salk Institute for Biological Studies v. Ferring Pharmaceuticals, Inc. Represented Ferring Pharmaceuticals (Ferring), a European biopharmaceutical company, in this litigation brought by the Salk Institute for Biological Studies (Salk) in federal court in San Diego. In 1995, Ferring discovered degarelix, a peptide-based drug effective for treating prostate cancer. Soon thereafter it filed a patent on degarelix. This discovery occurred as part of a collaboration between Ferring and an independent consultant who also was a professor at Salk. From 1995 until 2008, Ferring further researched and developed degarelix, and it obtained FDA approval to market the product in December 2008. Salk filed suit in December 2010—more than a decade after Ferring's first degarelix patent issued—alleging that Salk should be the exclusive owner of the patent rights in degarelix, that Ferring had engaged in unfair competition and that Ferring's sales of degarelix infringe a Salk patent. Ferring moved to dismiss Salk's claims as failing to state a claim, time-barred and otherwise defective. The court held a preliminary telephonic hearing on the motion. Within a month of filing formal briefs, the case was settled and all claims against Ferring were dismissed with prejudice. Wisconsin Alumni Research Foundation v. Intel Corp. Represented the Wisconsin Alumni Research Foundation (WARF), the patent management and licensing entity for the University of Wisconsin, in this litigation against Intel. WARF alleged that Intel's flagship Core Microarchitecture infringed a patent that arose from research at the University of Wisconsin, Madison. In addition to invalidity and non-infringement defenses, Intel claimed that it had obtained a license to the patent in suit based on funding provided to one of the Wisconsin inventors. Two weeks before trial, the court granted WARF's summary judgment motion that Intel had no license to the patent. The court also denied Intel's motion for summary judgment that the patent was invalid for anticipation, adopting WARF's construction of a key claim limitation. The court stated that the construction "is fatal to defendant's contention" of anticipation in its motion. Two weeks later, three days before trial, Intel and WARF settled the case. Microprocessor Enhancement Corp. v. Texas Instruments, Inc. Represented Texas Instruments in this case in the U.S. District Court for the Central District of California. Microprocessor Enhancement Corporation is a subsidiary of patent holding and enforcement company Acacia Research. Acacia is one of the country's largest and most aggressive serial filers of patent litigation, claiming to control some 60 separate patent portfolios. Acacia sued Texas Instruments for patent infringement, asserting that the architecture of TI's high-performance C6000 line of digital signal processing chips infringed Acacia's patent. Acacia sought over $94 million in damages and a permanent injunction against future sales of these products. Gary and his colleagues obtained a complete victory for TI. Following the close of discovery, Chief Judge Alicemarie H. Stotler ruled in TI's favor on summary judgment, finding that TI did not infringe the Acacia patent, that all claims of the patent are invalid, and that TI should recover its litigation costs. MEC appealed this decision and Gary argued the case before the U.S. Court of Appeals for the Federal Circuit. On April 1, 2008, the Federal Circuit affirmed the judgment of non-infringement in favor of TI in a published decision. Cardiac Pacemakers, Inc. v. St. Jude Medical, Inc./Guidant Corp. v. St. Jude Medical, Inc. Represented Pacesetter Inc., and St. Jude Medical in this patent infringement case in Delaware. Pacesetter is a subsidiary of St. Jude that designs, develops and manufactures Implantable Cardioverter Defibrillators (ICDs) and other devices for treating heart problems such as life-threatening ventricular arrhythmias and congestive heart failure. ICDs continually monitor the rhythms of the heart and, when necessary, can deliver a life-saving electrical jolt. Following a hearing on summary judgment and claim construction issues in March 2007, the case was settled successfully. Santarus, Inc. v. TAP Pharmaceuticals. Represented Santarus Inc., a startup pharmaceutical company, in an arbitration against TAP (Takeda Abbott Pharmaceuticals) in a license agreement involving its blockbuster drug lansoprazole (marketed as Prevacid, with over $2.5 billion in sales in 2004). After a two-day trial, the arbitrator awarded Santarus the entire relief it sought, plus attorneys’ fees and interest. Intergraph Hardware Technologies Co., Inc. v. Hewlett-Packard Co. Represented Hewlett-Packard in this case in the U.S. District Court for the Eastern District of Texas involving patents relating to multi-processor computer server systems. The plaintiff alleged that HP’s high-end server systems, representing $2 billion a year in revenues, infringed the patents. Following a very favorable claim construction ruling, the case was successfully settled before trial. Townshend Intellectual Property, L.L.C. v. Cisco Systems, Inc. Served as lead counsel for Cisco in this complex multiparty lawsuit involving eight patents that allegedly cover substantially all dial-up modems in use today. After several years of litigation, the case was favorably settled at the close of discovery. Pitney Bowes Inc. v. Stamps.com Inc./Stamps.com Inc. v. Pitney Bowes Inc. Served as lead counsel representing Stamps.com in this multifaceted litigation against Pitney Bowes involving technology for delivering postage, or other evidence of value, over the internet. The case involved over a dozen patents asserted in four lawsuits, pending at various times before three different courts. Following favorable Markman and summary judgment rulings in the two lead cases, a successful global settlement was reached. Novartis Consumer Health, Inc. v. Elan Transdermal Technologies, Inc. Represented Elan in connection with litigation involving transdermal nicotine patches. The matter was successfully settled before trial. Bayer AG v. Elan Pharmaceutical Research Corp. Obtained a summary judgment in favor of our client, Elan, in a lawsuit involving the first generic alternative to Bayer’s $400 million per year blood pressure drug Adalat CC. The decision was affirmed by the U.S. Court of Appeals for the Federal Circuit. Sonus Pharmaceuticals, Inc. v. Molecular Biosystems, Inc. Served as lead counsel for Sonus in this multipatent suit involving a novel injectable ultrasound contrast agent. Following highly favorable rulings on claim construction and summary judgment motions, the case was successfully settled. Centillion Data Systems, Inc. v. AT&T Corp. Represented AT&T Corp. in a patent infringement case involving telecommunications billing software. The matter was settled successfully before trial. Pfizer, Inc. v. Elan Pharmaceutical Research Corp., et al. This case involved the interplay of patent law and the law governing FDA approval of new drugs. Pfizer filed a patent infringement lawsuit against Elan in federal court in Delaware, seeking an injunction to block FDA approval of Elan’s once-daily version of the cardiovascular drug Nifedipine, which would compete with Pfizer’s Procardia XL (a blockbuster drug with over $1 billion in annual sales). Gary acted as Elan’s principal counsel on issues of patent infringement and validity, successfully defeating a preliminary injunction motion and prevailing on a motion to dismiss. AT&T Corp. v. Microsoft Corporation. In this case, AT&T sought access to source code for Windows NT 5.0 pursuant to a contract with Microsoft. After a week-long preliminary injunction hearing, the matter was settled successfully. Catalina Marketing, Inc. v. Advanced Promotion Technologies, Inc. Successfully represented Catalina, a firm specializing in point-of-sale promotions, in enforcing its patents related to automatic coupon generation at the checkstand. Beckman Instruments v. Hi Chem Diagnostics, Inc. This case involves the assertion of two chemical patents relating to medical test equipment technology. Gary was responsible for successfully resolving the case on summary judgment. Hollywood Casino Corporation v. Hollywood Park, Inc., et al. Successfully represented Hollywood Park in a trademark dispute concerning the Hollywood Park Casino. Negotiated the $100 million patent license of a substantial patent portfolio. Represents a major nonprofit research institution in licensing its biotechnology patents. Represented a client in a multimillion-dollar software rights acquisition from a major database software vendor. Advised a Fortune 100 company regarding strategies for protecting and licensing a sophisticated operating system software package. Advised a Fortune 100 company on the allocation of its IP rights in connection with a divestiture. Responsible for formulating and preparing a response to the U.S. Department of Justice’s "second request" in connection with the merger of two software companies. Represented a computer-based archive and clearinghouse for commercial photographs in developing its standard licensing arrangements. Represented a video game developer in a multimillion-dollar development deal with a major software publisher. Selected for inclusion in Best Lawyers in America for the past 12 years in the area of intellectual property and named Best Lawyers in America’s 2014 “Los Angeles Litigation – Patent ‘Lawyer of the Year"